Just returned from a 10 days family vacation from the Kiwi land – the New Zealand. This is my first trip to the place, and the general impression is positive, although I did encounter a few unpleasant experiences. I will leave them for another blog entry if time permits later. One of the observations made during this trip around the Northern island is the interesting safety signage along the motorways that are not found on the roads in most other places, in particular, in Asia. 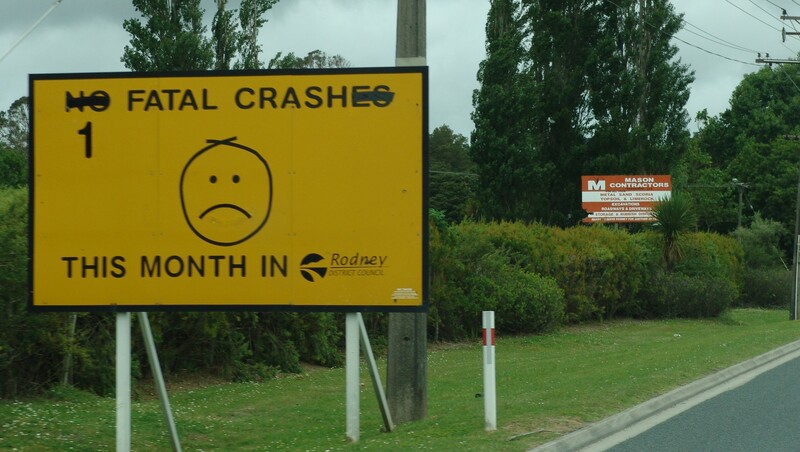 Along one of the motorways (from Rotorua to Taupo), there is a series of signage with messages like, “I’m tired now“, “I need a rest” followed by an informational reporting a statistical measure of the number (or percentage) of accidents caused by sleepy drivers to alert ongoing drivers that they may be experiencing such symptoms, and subtlety hint to them that they should perhaps take a rest and not continue driving if they feel the same. On the road from Rotorua (or rather, Matamata) to Auckland, the signs changed to playing with the abbreviation – JAFA – from “Just another fatal accident“, to “Just another foolish accident“, then followed by a final signage – “Do you know that more than 35% of accidents on the road are caused by POOR OBSERVATION?” Again, another subtle but different message to highlight the needs for caution and drive safely. Unfortunately, while I carried two digital cameras and a DVD camcorder for the trip, I didn’t get a chance to capture any photos of those signage to get a closer look of the messages 😦 Nevertheless, I did manage to capture two quite similar images of these safety signs when returning from Paihia to Auckland. See the two images embedded in this blog. One on the need for the eyes to stay focused, and the other on the number of fatal crashes. The variation of safety messages fit the notion of anti-habituation. Not sure if this was done in purpose, or by accident (pun not intended). I guess it is more the latter, as the signs appeared to be posted by different authorities from the Kiwi land. 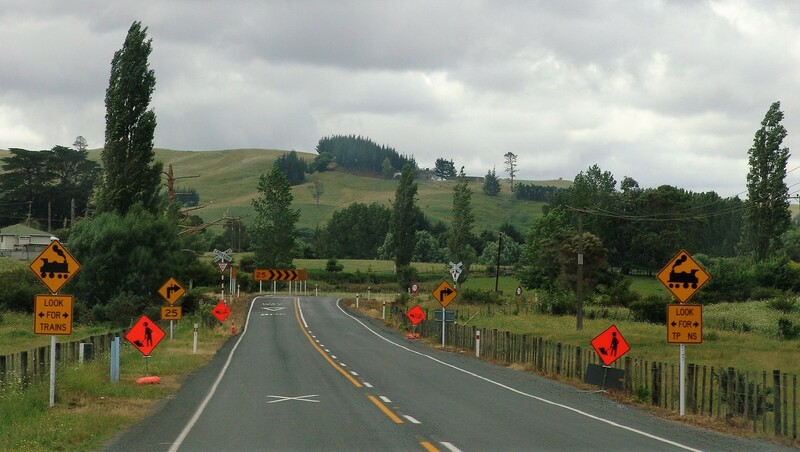 In any case, they do catch the attentions of both my brother-in-law (the main driver of our trip) and I when we drove along the motorways and highways in New Zealand this summer (over there.) This is perhaps one of the form of awareness messages that are also needed for online users along the Internet highway, to remind them of the security and safety measures while using the Net, in a variety of interesting forms, not just sticking to the same set of F.U.D. messages.